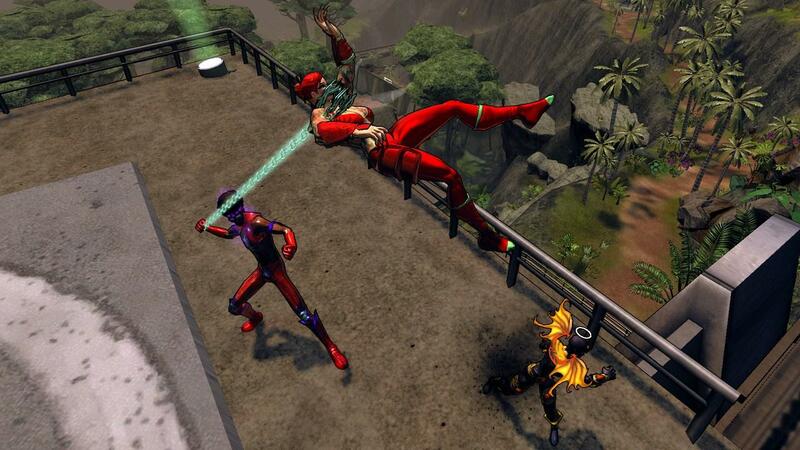 Super Hero games are seeing a resurgence – from the excellent Batman: Arkham Asylum to the now venerable City of Heroes MMORPG, its cool to wear kevlar and spandex. 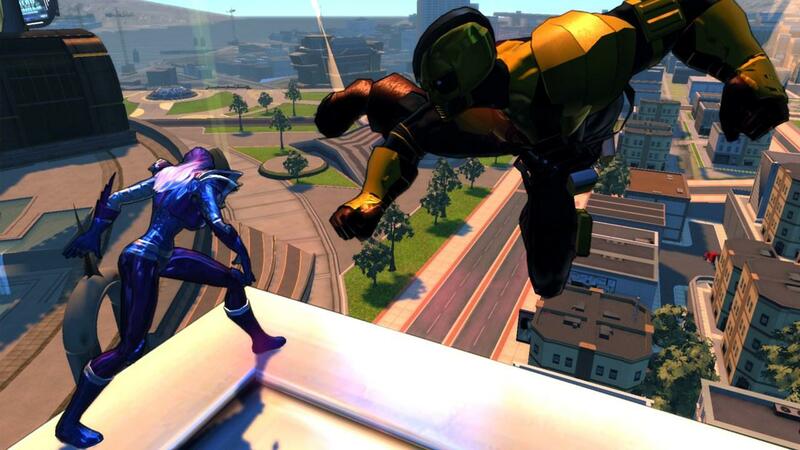 It's fitting that in this new golden age of 4-color fantasy that Cryptic Studios and Atari should unleash their latest entry into the genre space with Champions Online. 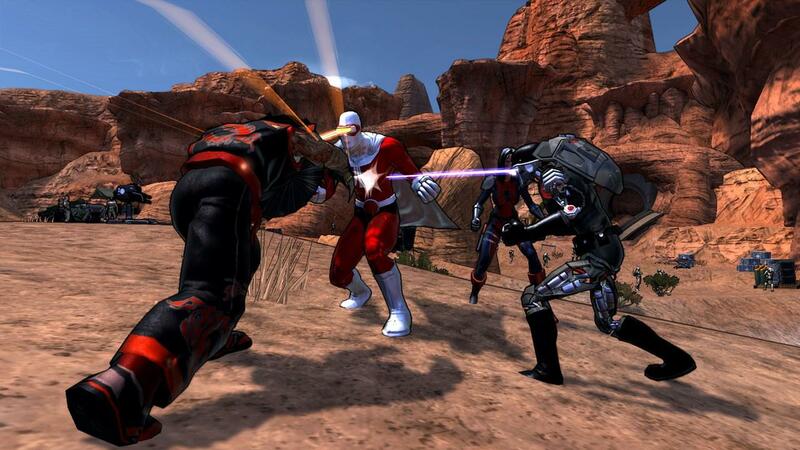 Champions Online is not quite your traditional World of Warcraft clone experience, sure the game is online and supports a large number of simultaneous players, but its a different shade of massive and most definitely not as statistically inclined as most MMOs tend to be. Sure you still create an alter ego, choose a class (or a power framework in super hero speak) and begin grinding through foes and collecting power ups like the best of them but the game has a very different feel about it. Visually the title models the comic book world by using a detailed “comic shaded” look that somewhat heightens the unreality of the experience. 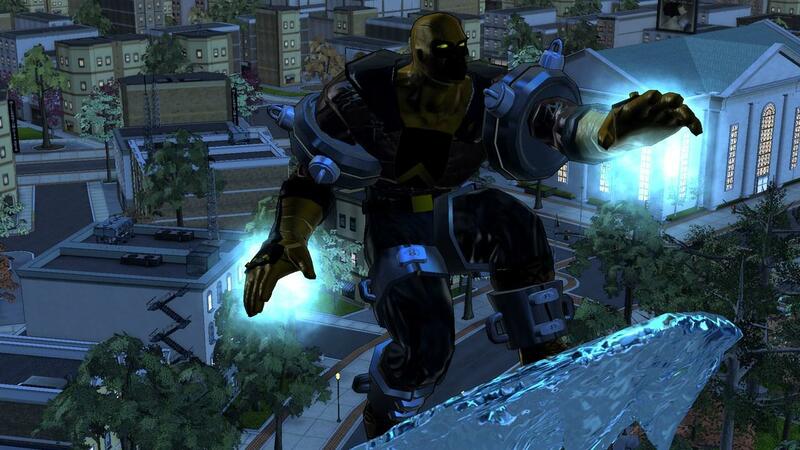 Its obvious that this is a game set firmly in a comic book universe. Buildings resemble square blocks of vibrant color, the environment detail is appropriately flat and it lacks that oh so ubiquitous “light bloom” that proliferates in most fantasy MMOs to the point you wonder if you just got subjected to a pupil dilation during your eye exam before playing. This is not to say that Champions is a dull looking game, in fact the detail evident in the player characters and the major foes is intriguing. Players will probably spend a lot of time playing around during character creation with the multitude of options.. in fact it is more of a challenge to create a bland, featureless character in this game than it is to make a character with bestial claws, a beak, devil wings and metallic blue skin. Not because the options are forced on you, but because the game has so many cool options to begin with. In my limited time with the game since launch I've spent hours just playing around trying to build interesting characters irregardless of the statistical framework of stats or powers – visual pizazz was my immediate attraction to the game. 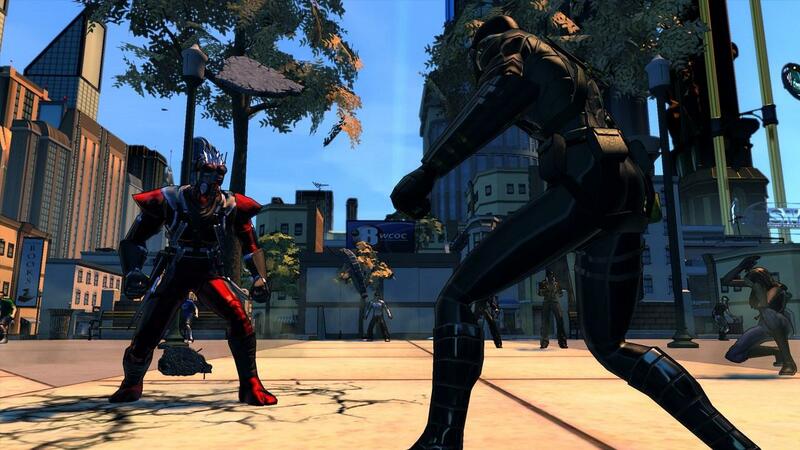 This is not a new philosophy for Cryptic – the studio that created City of Heroes and City of Villains and Champions shows an evolution from those excellent character customization tools. Over a year ago I visited Cryptic's California studio for the announcement of the game and had an opportunity to speak with the creators of the game and see an early version first hand. The version we played was pre-alpha at that point but already set the tone for what this game would become and is at this point. While many MMO games focus on tactical combat, measured builds and statistics that are little more than veiled math competitions, Champions is a game about simplicity and action. This initial simplicity sets it apart from a lot of its competition – including the “City of” games. It is fairly evident from the start that this game was developed with a console controller in mind and the developers have not been shy advertising it as more an action game than a traditional RPG.Controlling your hero is simple enough and the game does have built in support for the Xbox 360 controller for Windows, featuring button mapping and a quickly understandable controller interface. Even the keyboard mappings are fairly simple at the lower levels as players have a limited number of options in their power portfolio. Initially, regardless of the choice of power archetype you make, you have two basic abilities – one that generates power points and one that is chargeable and spends these points. The longer you charge, the more effective or damaging the power becomes and use is based on a see-saw application of the two base powers to manage resources. As you advance in levels you gain new traits – adjectives that tweak and boost statistics and new refinements or power stunts for your powers that enhance the basic power or add a cool tailored effect. Players will find it takes a long time to really max out the powers in this game and each power can be augmented only five times though maxing even one power out takes quite a few levels. Unlike a traditional MMO where the acquisition of skills/talents or abilities really fills out a character's deck of available actions, Champions seems to focus on refining a core set of abilities that players will choose throughout the career of their hero. This fits pretty well in the setting, for example over time Wolverine doesn't really gain new abilities (or rarely does anyway) in the comics but new writers tend to refine or tweak the way his powers work – Champions character advancement system replicates this dynamic pretty well. Lots of folks out there might think that the lack of the big name license like Marvel or DC comics would hurt a super hero game, but strangely the universe Champions occupies has almost as long and storied a history as any modern major comic book universe. Champions began life as a traditional tabletop role-playing game – its in many ways the D&D of super hero RPGs and continues as a pen-and-paper game to this day. This long history means that players will be adventuring in a world with some developed depth to it. 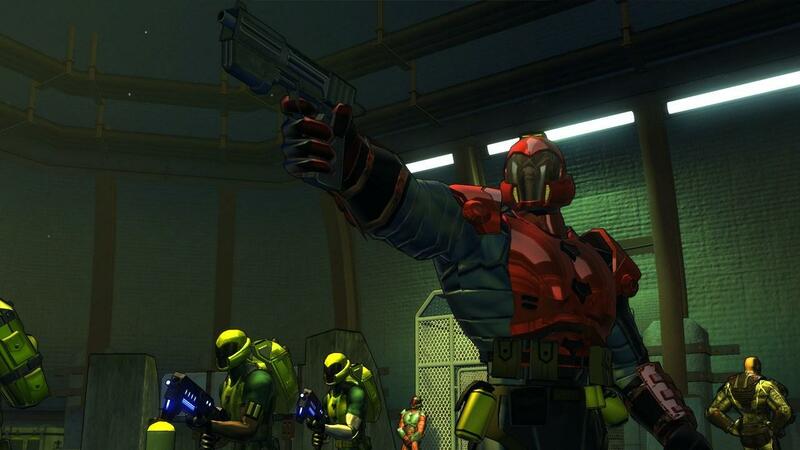 Millennium City, Dr. Destroyer, the Champions are all very well detailed figures in the game's universe and have existed in their various forms for over 20 years. 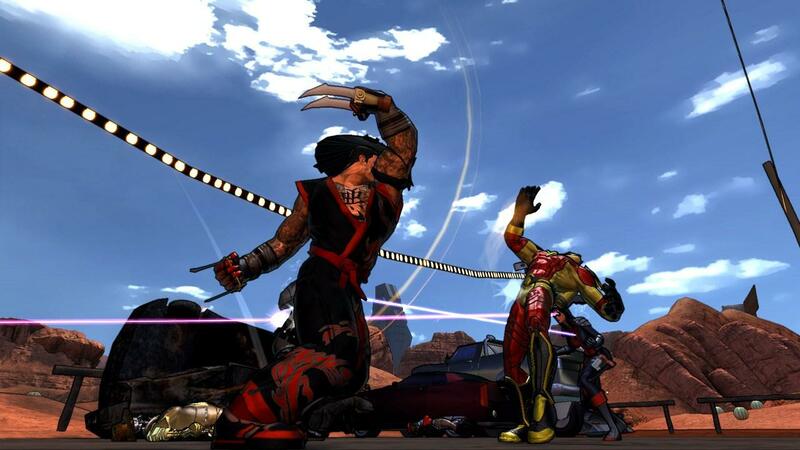 Fans of Marvel and DC will also quickly notice the homage that Champions and its settings play to the archetypes and heroes of those media empires – sure there is no Incredible Hulk in the Champions world, but a similar archetype – the irradiated mutant berserker Grond – serves a similar story purpose and allows players to experience some of the key elements of the popular Marvel universe without being constrained by Marvel's licensing or continuity. The game begins with players taking the role of a new hero in a tutorial instance – the game organizes players into small instances which limits the population a bit to control camping and resource farming problems common in many massive world single instance games. Your hero is tasked with defending Millennium City from an alien incursion while discovering the fate of the city's world famous super team – The Champions. You encounter key NPCs and learn the tricks of the game while cruising through the first 5-8 levels of experience.Eventually the game opens up a bit and allows you to choose how the character's story will progress with a binary choice of instances. This design choice also feels a bit different than the traditional open world setting – unlike WoW or other similar games you can't simply run off into the world and find trouble, the nature of the game and its narrative structure somewhat prevents that early on. Instead you can choose initially to visit the irradiated desert to combat mutants or head to icy Canada to face dangers of another kind. Completing these branching paths eventually opens up your choices a bit and allows more freedom but the game and its instance oriented approach lacks the open sandbox feel one might be expecting. If players keep in mind that this is a super hero title and it takes the comic book storytelling pretty seriously you can accept that each mission is like a single issue of an ongoing comic book featuring your character. I've not progressed to the high levels of the game yet but so far I think I'm enjoying the game. The comic book setting and colorful environments are fun to explore but I'm already beginning to become a bit lulled into sameness by the simple combat and limited story options early on. I've played around with a few heroes, all with varying powers just to get a feel for the difference but so far Power Armor, Magic and Darkness powers don't really feel that different in execution even though they offer wildly different power choices. The biggest surprise for me however was the lack of a community feeling in the game. 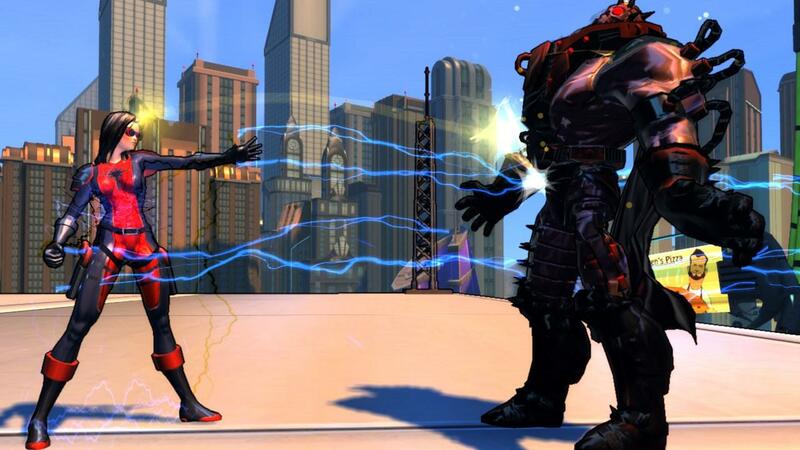 Through the early levels and first scenario I never felt the need or compulsion to join up with other players – Champions feels like a massively single-player online game much of the time. Those few team-up opportunities I experienced often resulted in my partners thanking me for my help and blasting off to continue their solo adventuring as soon as the quest or task was completed. I'm glad the game supports the solo player so well but it was not immediately apparent or encouraged that heroes would form the great super teams of the future – though I have to say that my play experiences are from an early game perspective where climactic fights are on a rather small scale. 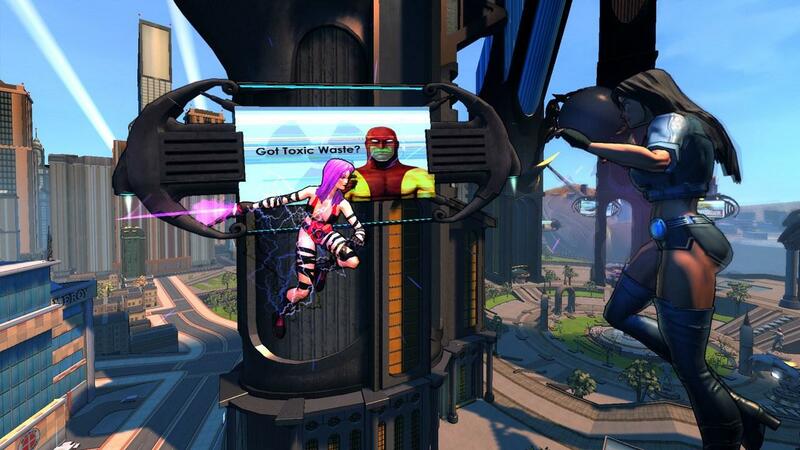 Champions Online is not your traditional online RPG. It feels tailored to a more action-oriented crowd of games and maybe will serve to attract players more used to Marvel: Ultimate Alliance style combat who would never spend hours calculating DPS in a Molten Core raid on Wow.